Insurance solutions for the communications industry. UNITEL is a division of UNICO Group, dedicated to providing risk solutions for the telecommunications industry. Teaming up with UNITEL connects you with insurance experts privy to current state and national advances. Evolving technologies and trends offer a unique set of challenges and opportunities—insurance options being one of them. We’re here to help identify strategies, so that you can best protect every aspect of your business. Deb Trusty and Ryan Keeley are incredibly knowledgeable of the cable tv/telco industry, which makes getting adequate coverage so much easier! They understand what you mean when you say things like: construction, peds, cabinets, co's, dial buildings, etc. When you talk to other agents, there seems to be somewhat of a 'language barrier' when it comes to these types of insurable items. They never try to sell us more than we need and they make sure to point out both excessive coverages and inadequate coverages that may need adjusted when we renew. Good agents are hard to find. If you find agents you like, you should keep them. Debbie and Ryan are most definitely keepers! "I am very pleased with the open communication and availability of UNITEL's agents. I would recommend UNITEL for their wide range of available coverage, along with their great support that is always there to help." "UNITEL is always there to help with any questions or getting policies quoted or placed. She is always prompt, pleasant and efficient." "Everyone at UNITEL, from our local agent staff to the claims representatives has been extremely knowledgeable, professional, friendly and so very easy to work with. Their response and turn-around time is lightning fast. We are nothing short of pleased with our transition to UNITEL. UNITEL brought to our attention areas that were lacking in our former policy which, in our industry, could have had some major consequences. The change to UNITEL has provided us with more robust coverage and saved us money. It is apparent that the team are looking out for us personally as a company not just another policy holder." "UNITEL has always done an amazing job for Gardonville. Chris Danielson's guidance and advice extends beyond a typical consultant relationship, it’s more of a partnership. Time and time again, his intuitive nature leads to questions that when he asks, instantly provides “decision making perspective” in the given answer. I value his experience, integrity, dedication and passion for adding value to my company." "Our Company is very satisfied with UNITEL. I enjoy the ease in dealing with our representative and his staff. Our emails are answered promptly and telephone calls are returned. 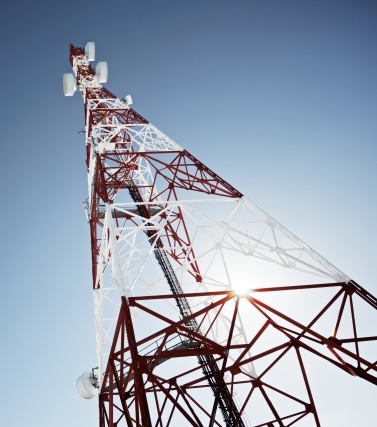 They offer cost effective pricing for all of our needs in the Telecommunications Industry." "UNITEL does an awesome job for us. We appreciate their prompt and reliable service, along with their expertise." "I recommend UNITEL because they are easy to work with. Their account reps and account managers are quick to respond to questions, check in with me from time to time to make sure there is nothing I need assistance with, and are very knowledgeable. They make sure we are happy, don’t have any issues, and that they have done everything they possibly can to help us out. Their claims services department has pleased me the most. Claims are handled in a timely manner. No surprises here!" "Telecommunications is not a straight forward industry for insurance purposes as our insurance needs are changing on a continuous basis. We have multiple companies and ventures that require much interaction with UNITEL on a very regular basis. Their knowledge, quick response time and diligence in seeking out answers to difficult questions is very important to us. I feel working with UNITEL allows for a comfort level that our insurance needs are met timely and accurately. Due to the size and nature of our business we have very regular interactions with UNITEL. I feel they are very customer service oriented, the claims process is quick and easy, the employees are very knowledgeable and helpful and working with them gives us a comfort level that our insurance needs are being met." Western Telecommunications Alliance is a member-driven association strengthening the ability of its members to provide affordable, advanced broadband and communications services in rural America through advocacy and education. • Frustrated by the lack of flexibility with your current benefits program? • Concerned you may not be getting comprehensive rates? • Wondered if you are spending benefit dollars on the right coverages? Based in Washington, D.C., INCOMPAS is the leading industry association representing competitive communications service providers and their supplier partners. INCOMPAS members are entrepreneurial companies driving technological innovation and creating economic growth through competitive voice, video, and data offerings and the development and deployment of next-generation, IP-based networks and services. COMPTEL advances its members’ interests through trade shows, networking, education, and policy advocacy before Congress, the Federal Communications Commission and the courts. COMPTEL works to ensure that competitive communications providers can continue to offer lower prices, better service, and greater innovation to consumers. For more information about membership, email Kevin Morris or call 202-296-6650. UNITEL Insurance has partnered with INCOMPAS to provide our members an opportunity to enhance employee benefits while potentially saving money. Healthcare reform continues to dominate the focus for companies offering medical benefits, forcing companies to look at ways to reduce benefits to control cost. Studies show that a high percentage of employees rely on employers to provide life and disability insurance, so it is critical for businesses to continue to offer robust benefit packages to attract and retain the best talent in the industry. Learn how UNITEL can help INCOMPAS members to maximize investments in employee life, short-term disability, long-term disability and critical illness benefits. Visit incompas.org to learn more. 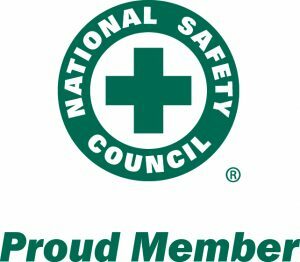 The nation’s leading safety advocate for more than 100 years, the National Safety Council is a nonprofit membership organization with the mission to save lives by preventing injuries and deaths at work, in homes and communities, and on the road through leadership, research, education and advocacy. Working to make the world measurably safer, NSC advances this mission by engaging businesses, government agencies, elected officials and the public to help prevent the fifth leading cause of death in the U.S. – unintentional injuries. UNITEL is a proud member of the National Safety Council. Visit www.nsc.org to learn more. 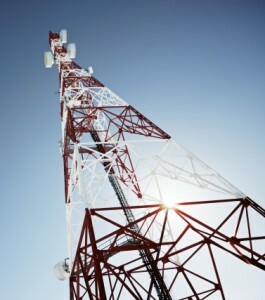 UNITEL Insurance provides risk solutions for more than 600 communications companies throughout the country.